Serious home preservers look for shortcuts to help create the best product that will last the longest on the pantry shelves. Learning when to blanch vegetables can help save money, save time, and give you the best-tasting food. I am a lazy preserver and will take shortcuts whenever possible. Now, don’t get me wrong, these shortcuts won’t skimp on safety, they are instead all about preserving the most food in the least amount of time. 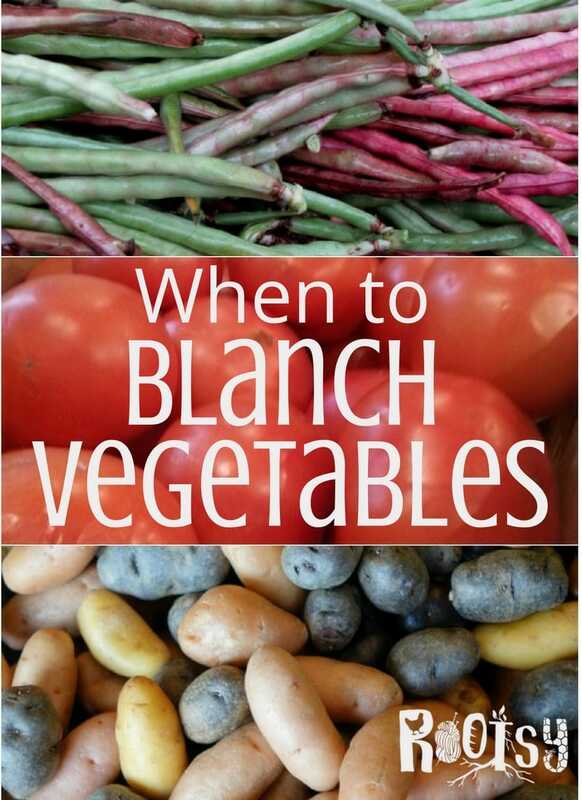 Take blanching vegetables for instance. It can be a hassle and time consuming to process your vegetables in a steaming pot and boil them for the required time. While there is set up required for all canning, dehydrating, and freezing processes, blanching vegetables often seems like an extra step that could be skipped. If you are freezing or dehydrating the food, blanching it beforehand prevents the enzymes in foods from affecting the quality of the foods during storage. As a general rule, only vegetables should be blanched before freezing or dehydrating. If a fruit is blanched, and then frozen, the fruit will become mushy after defrosting.The exception is grapes, blueberries, and plums. Freezing allows the outer skin of these fruits to burst, which speeds up the dehydrating process. Let’s go over the rules so you will know when to blanch vegetables and when it’s alright to skip it. Several vegetable crops freeze or dry well and do not require an extra step for blanching. These easy favorites can be washed and then halved, quartered, or chopped and placed directly in your chosen freezer container or onto dehydrator trays. 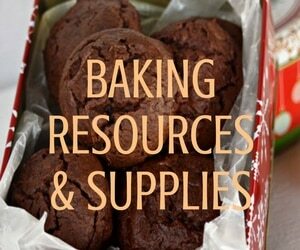 These are favorites because they are so easy to get into the pantry! The vegetable in this group usually needs a minimal blanch time so you may find that skipping it does not change the texture of your finished product. These will taste close to the original when used for soups, stews, and casseroles. The key to being able to skip blanching these vegetables is the way you cut them before processing. The pieces are small you can usually skip blanching. You will want to start with a small batch and make sure you like the texture of the vegetables after they are rehydrated or thawed. These vegetables will always require blanching. You should only use vegetables that are in excellent condition. Store them in your freezer or process them in the dehydrator. 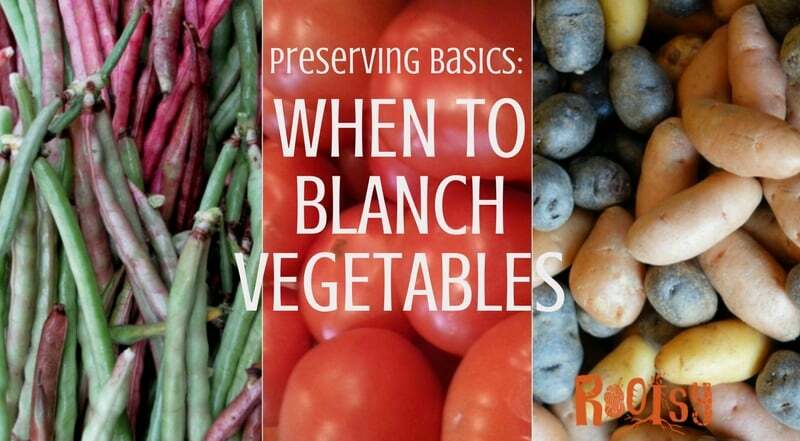 Knowing which vegetables need blanching can save you a lot of time and effort as you prepare your food for preserving. 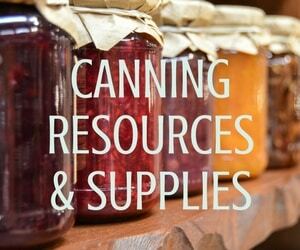 These rules hold true whether you are canning, freezing, or dehydrating. You can learn more about the requirements for blanching food for preserving in the book Prepper’s Dehydrator Handbook by Shelle Wells.